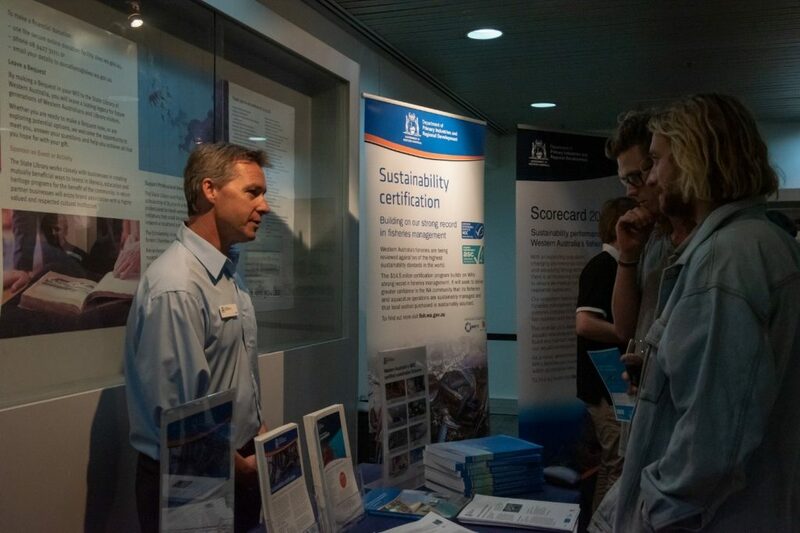 WAFIC was proud to co-host a recent DPIRD initiative to showcase the science and scientists that underpin the sustainable management of WA’s commercial and recreational fisheries. 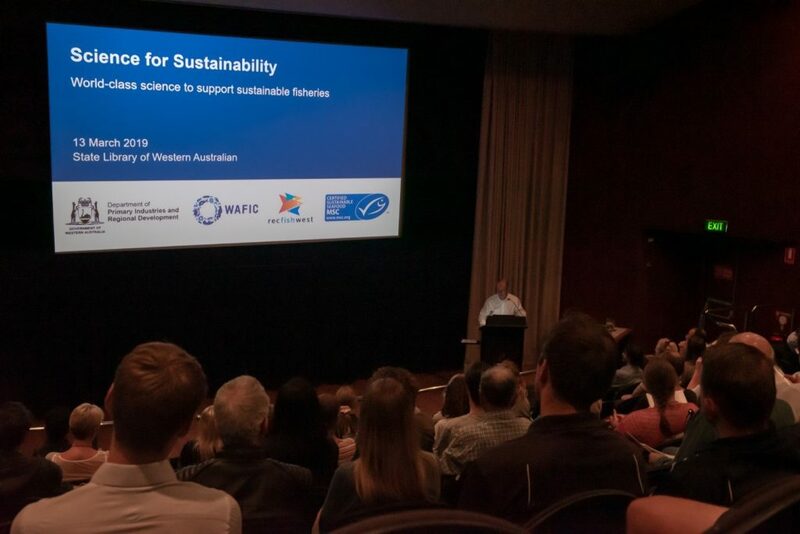 Timed during this year’s Sustainable Seafood Week, the Science for Sustainability public seminar at the State Library theatre was attended by close to 100 interested community members. 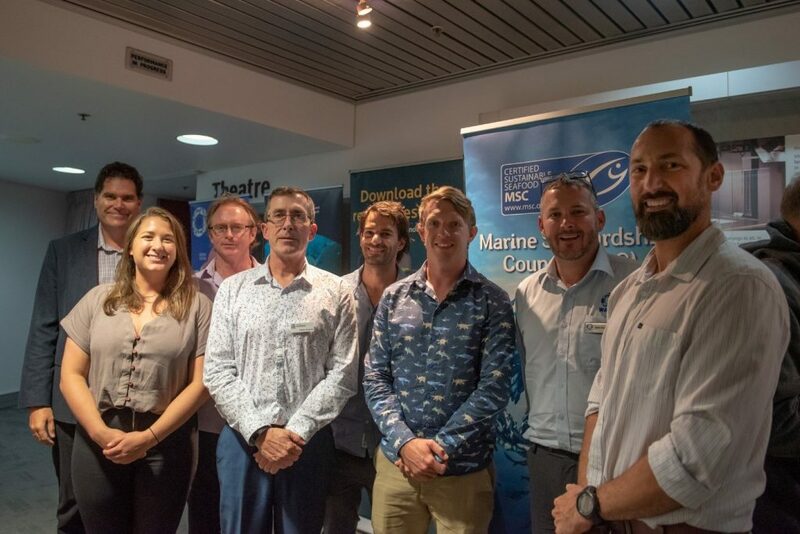 The seminar aimed to recognise and promote the world-class work science undertaken by DPIRD staff, whom without, the successful Marine Stewardship Council’s (MSC) certification of eight WA fisheries to date would not have been possible. Presentations from DPIRD fisheries scientists included talks by Dr Anthony Hart on abalone in a changing climate, Cameron Desfosses and Alicia Tate on using innovative tools to survey recreational fisheries, and Dr Lynda Bellchambers on the importance of understanding the broader impacts of fishing on the ecosystem. 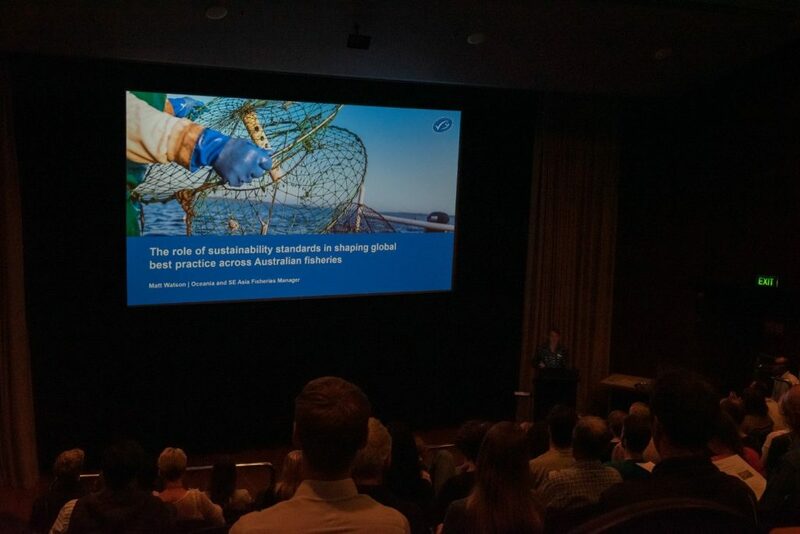 The public also heard from Rhys Arangio about Austral Fisheries impressive sustainability journey and MSC’s Matt Watson spoke about the role of sustainability standards in shaping global best practices across Australian fisheries. 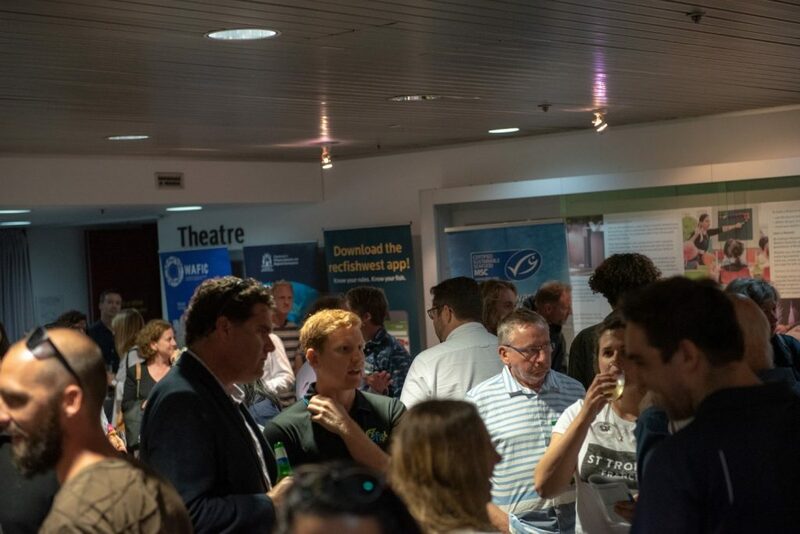 WAFIC’s Dr Matt Pember stressed the importance of good science in good management decisions and highlighted the role science communication has in building community support for WA’s sustainable fishing industry. The majority of the presenters at the Science for Sustainability seminars. From left to right: Andrew Rowland (Recfishwest), Alissa Tate, Anthony Hart, Daniel Gaughan (DPIRD), Rhys Arangio (Austral Fisheries), Matt Watson (MSC), Matthew Pember (WAFIC) and Cameron Desfosses (DPIRD).